I've become a bit highlighter obsessed recently! I can't remember a day where I haven't used one. I have dull dehydrated skin, this means they work wonders on my complexion; making me look alive and healthy! So I thought I'd give you a little round of my favourites, not so favourites and to put it frank - rubbish highlighters! 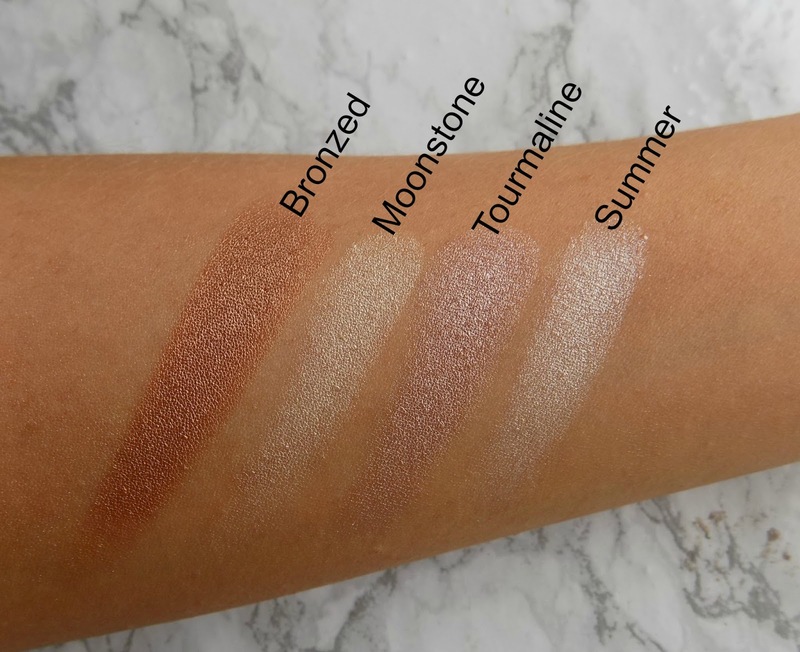 I have all the Glow Kits available here in the Uk (Gleam, That Glow and Sun Dripped) all three are incredible; They're buttery soft, well pigmented and really give the skin a beautiful radiant glow! But Sun Dripped is my favourite. All the shades are stunning. Summer is my favourite, a Sand colour with a White Gold shimmer. It really catches the light and gives an effortless glow. 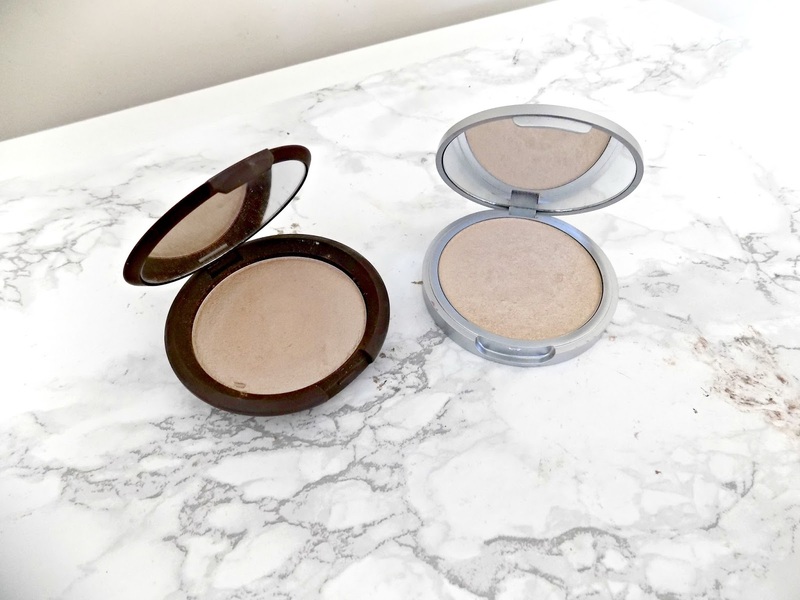 I like to pop a bit of Bronzed (a warm Amber) over the top of bronzer for a super dewy look. This is also good value for money, considering you get 4 really good sized pans for the price. I can't recommend this palette enough! Get it while you can because I believe its limited edition. 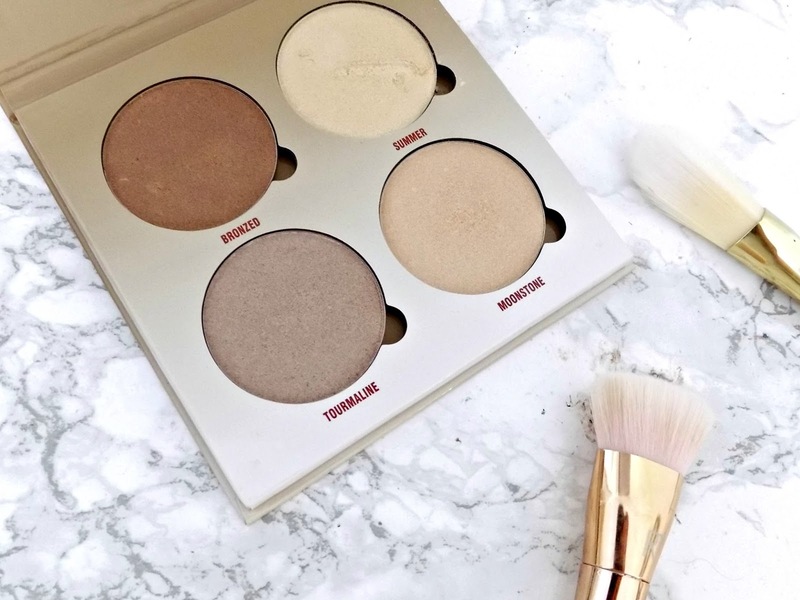 As affordable highlighters go you won't get much better than this. For its price point this is surprisingly good. The palette contains one cream formula and three powders. The powders are intensely pigmented and easy to work. All three give a truly dewy look, while lasting all day. I highly recommend this palette! I couldn't decide whether to include this or the Champagne Pop Face Palette, but I went for this because the Face Palette is no longer available. But this is no runner up. Becca really have developed a sublime formula here. This is by far the softest highlighter powder I've used. It's so finely milled and transfers to the cheek bones so easily, for a glow like no other. The shade itself is a beautiful Golden Peach colour that diffuses and reflects light for a perfect glow. Mary Lou Mazier has definitely earned her cult status. Its a Champaged toned, finely milled, soft powder. This gives almost a wet look to skin, without any glitter at all. I also think the price is very reasonable considering it performs as well as much more expensive ones. Sharpen your pitch forks because I know so many people love this. But I don't. The formula can't be faulted for innovation, the texture is so unique, it's a kind of moussey powder. But I just can't make this work, no matter how I apply it. It just looks like stripes of highlighter on my face, despite blending it. I really want to make this work so let me know the best way to apply it! 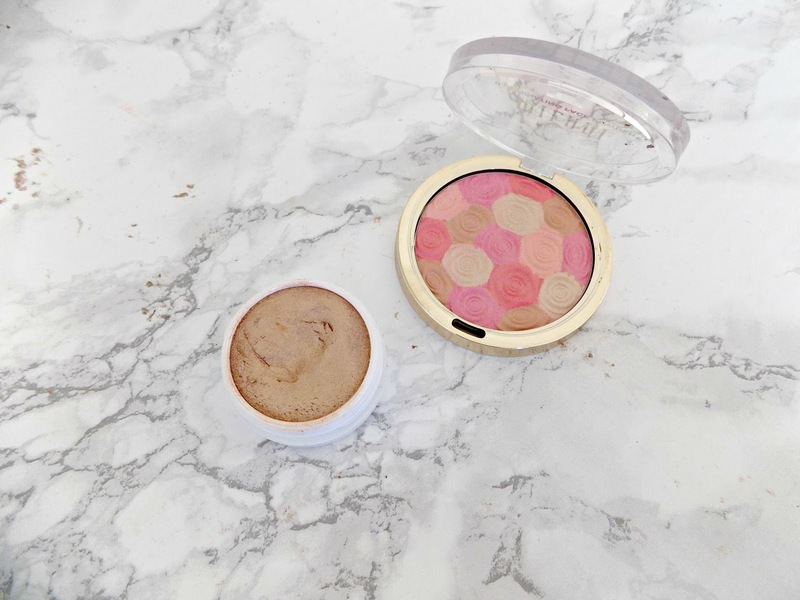 This is described as a blush, bronzer and highlighter in one. I don't really see how it can be all three things at once. 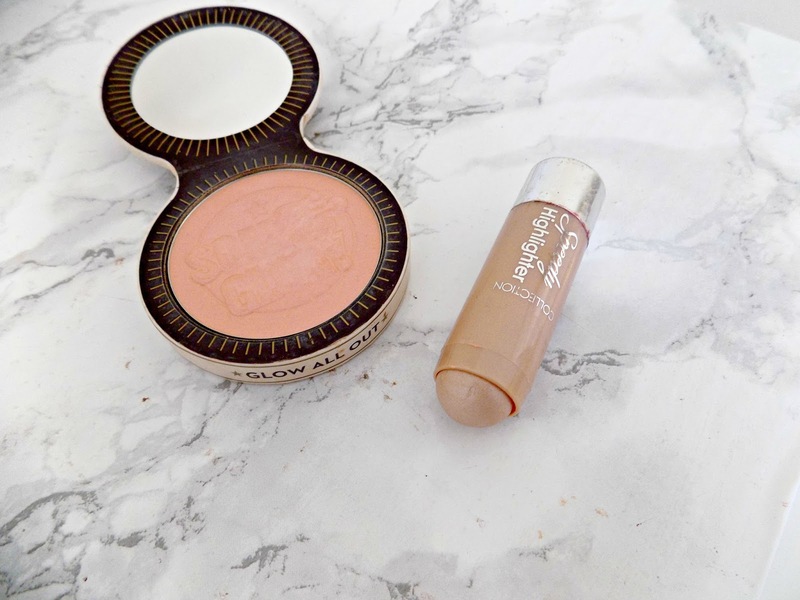 And it certainly isn't a bronzer, I can't even see it working as a bronzer on really pale complexions. It's not overly dewy or shimmery so isn't great as a highlighter. If anything it's a very pale Pink blush. But for the purpose of a highlighter for me this doesn't work. Did you know Milani now have uk website? See this post for more details! I heard so many good things about this: people comparing to Benefits Watts Up (one of my faves) so I picked it up. To be honest this is rubbish. The formula is really dry, it's not creamy at all. Its difficult to apply and blend. And to top it off it moved all the base underneath. I really dislike saying bad things about Soap and Glory because I think they're a great brand as a whole but this was such a let down. 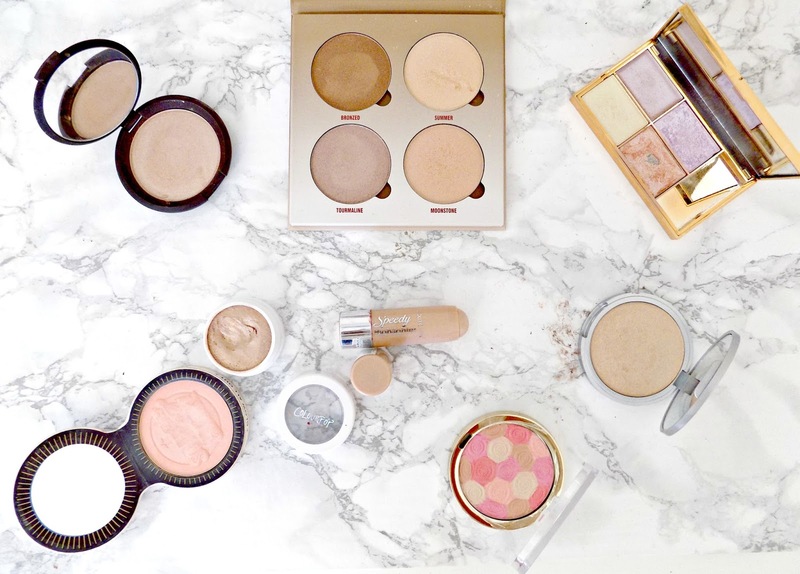 It's not as fine as their usual powder formulas which is pretty important when it comes to highlighters. And it's so Pink! It's definitely more of a blush if anything. So there's my run down of a few highlighters. I have way more, would you like to see a part two?